An auspicious day dedicated to Lord Shiva, Pradosham falls on the 13th day (Trayodashi) of the lunar fortnight (Paksha). 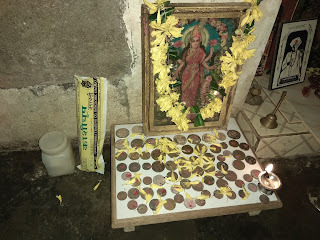 Pradosham Vratam occurs during the two different phases of the moon (waxing and waning) as per the traditional Hindu lunar calendar. 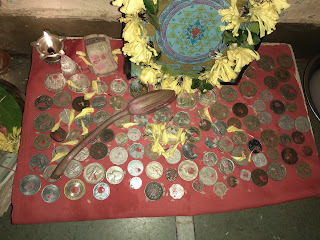 A Pradosham falling on a Monday is called Soma Pradosh or Chandra Pradosh, on a Tuesday is known as Bhauma Pradosh, and on a Saturday is called Shani Pradosh. Among all the Pradosham vrats, the Soma Pradosh and Shani Pradosh are the most significant one observed by most devotees. The fast is observed from sunrise until sunset and is considered to be highly beneficial. To know more on the meaning and importance of Pradosham Vratam, continue glancing through the lines herein. According to the Shiva Puranas, observing a fast on Pradosham Vratam is regarded as highly auspicious and beneficial. One would be blessed with wealth, children, happiness and honor. While the fast is undertaken by all Shiva devotees, but all women who have been longing for a son specially observe this. Also, praying to Lord Shiva during the course of the fast is said to liberate the devotee from all his previous and present sins and evil deeds committed. According to one legend, Lord Shiva is believed to have drunk the Halahala poison during Pradosham. This poison was mixed with the Ocean of Milk (Samudra Manthan). Another myth relates the importance of observing this vrat with the divine couple, Lord Shiva and Parvati. On the Trayodashi day during the evening twilight, the couple is said to be in a propitious and favorable mood. 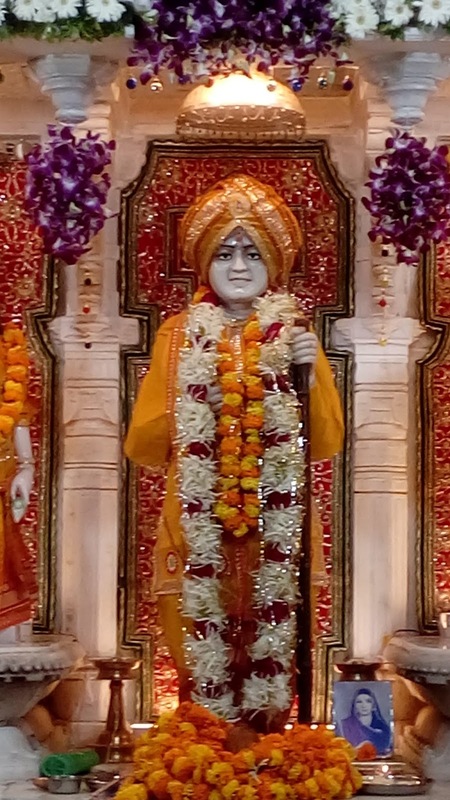 Hence, all prayers and grants demanded by a sincere and loyal devotee are easily fulfilled. Additionally, Bael or Bilva leaves are offered to the Lord during this twilight period as it is regarded to be very fortunate. Hence, all stern Shiva devotees observe both the fasts that occur on two Pradosha days in a month. 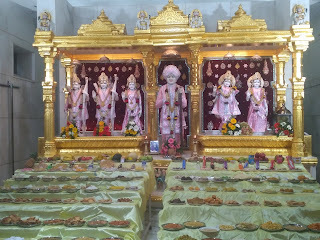 Such devotees consume only water during their fast and break their fast by eating Prasad after the evening prayers only. Furthermore, they eat cooked food only from the next morning. Some devotees follow another method for fasting during Pradhosham Vratam. 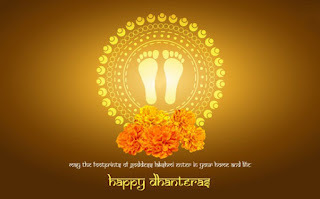 These eat fruits while observing the vrat and resume with eating cooked food on the same day after the evening prayers. 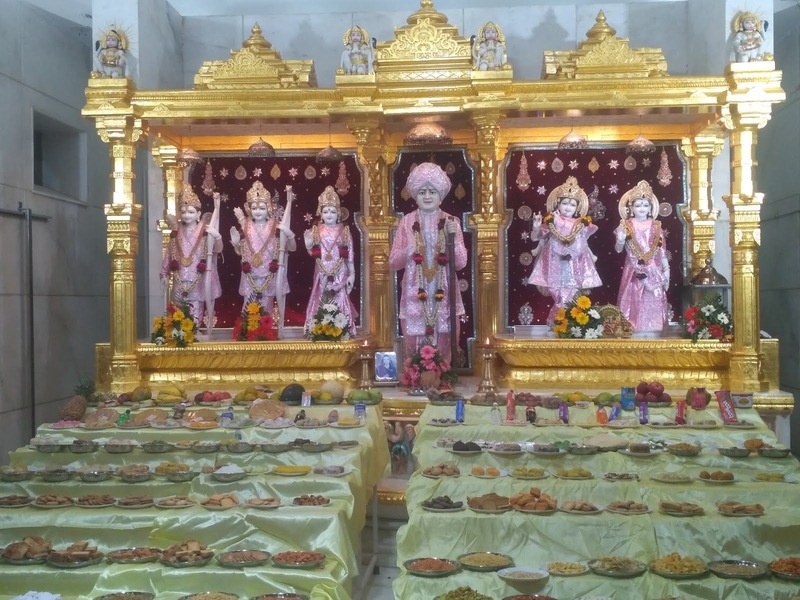 Therefore, the strictness followed during the Pradosha fasting totally relies on the devotee. 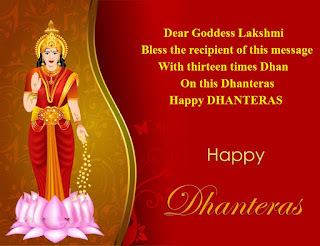 Nonetheless, there are devotees who do not observe a vrat on this day but offer prayers and worship Shiva either at home or in temples. Jalaram Jayanti is birth Anniversary of Hindu Saint Jalaram Bapa who born in Virpur near Rajkot Saurashtra Gujarat. 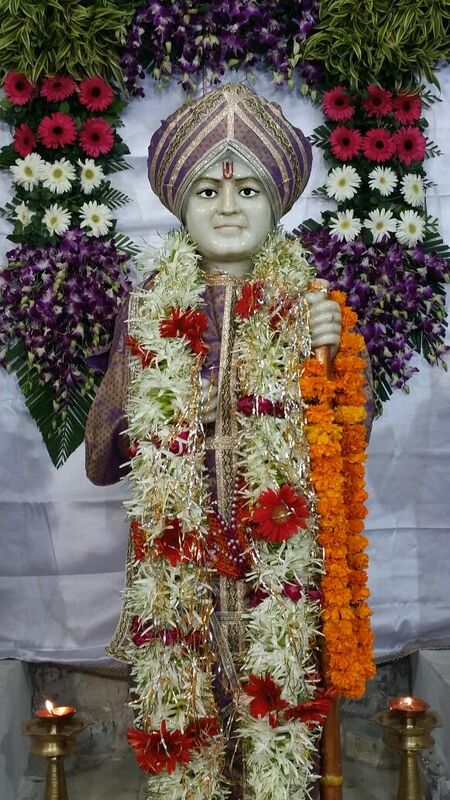 According to English calendar Jalaram Jayanti 2018 date is November 14 and according to Gujarati calendar celebration on kartik sud satam(day of seven).On this day, devotees are served meal as prasad.The Jalaram Jayanti celebrations are also held at all Jalaram temples spread throughout India & abroad with festivities, where devotees participate to pay their respects and have prasad. 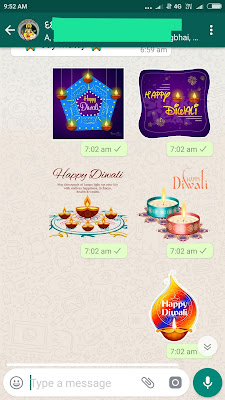 Here is how you can use of the latest feature on Whats App, Whats App Stickers to wish your family and friends this Diwali.WhatsApp has become one of the most essential apps in our lives and when it comes any festive season, millions and millions of wishes are shared through the platform. As Diwali is just around the corner, WhatsApp has added another feature to its platform called as the Whats App sticker feature, through which you can send stickers to your contacts apart from gifts, videos or images. Moreover, Whats App has also allowed support for third-party apps through which you can add various other stickers to the app apart from the 12 sticker packs that Whats App has launched. This means that you can head to the app store in order to install any other third-party app which offers stickers for special occasions or festivities and share them with your Whats App contacts as wishes or an even better way to express yourself. This Diwali, you have another option to send your best wishes in form of WhatsApp stickers and here, we are going to tell you about how can you wish your family and friends with WhatsApp stickers this Deepawali rather sending them the same texts, images of gifs. It should be noted that your WhatsApp app should be updated to version 2.18 or higher to use this feature. ➤Open any WhatsApp chat on your smartphone. ➤Tap on the ‘Smiley’ icon and access the stickers option at the bottom. ➤Select the ‘Get more stickers’ option after scrolling down the list. ➤Once stickers are downloaded as an app on your smartphone, open the said app and tao on the ‘Add to Whats App’ option. ➤The Diwali Whats App stickers will now be copied inside your Whats App app which you can be accessed from the stickers option. ➤Select any one of them to send to your chats and wish them ‘Happy Diwali’. It should be noted that the option to add more Whats App stickers is not present on i Phones or iOS, however, you can send Diwali Whats App stickers from Apple’s OS as well. The catch here is, you should receive a Diwali Whats App sticker first and then add it to your favorites by long pressing on the Whats App sticker. These stickers could be found after tapping on the star icon under the Whats App stickers option. 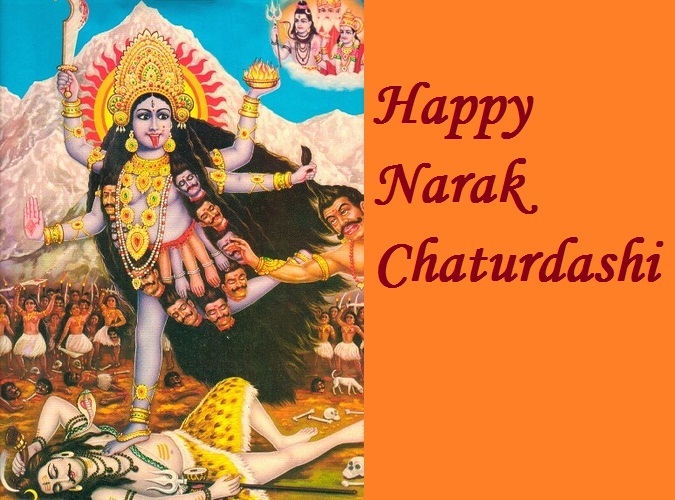 Narak Chaturdashi is a Hindu festival that is celebrated a day prior to Diwali, i.e. 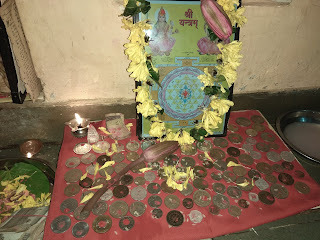 on Choti Diwali. 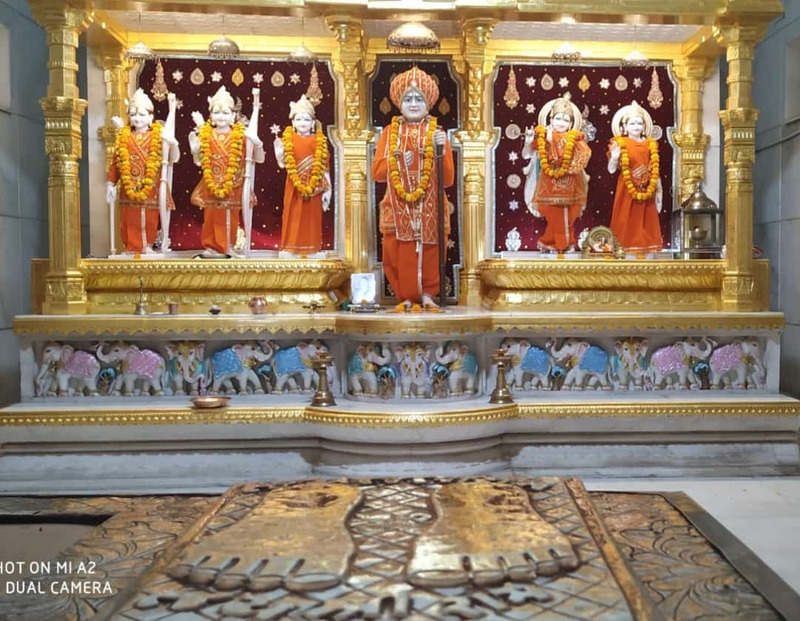 It celebrates Lord Krishna’s victory over demon Narakasura. 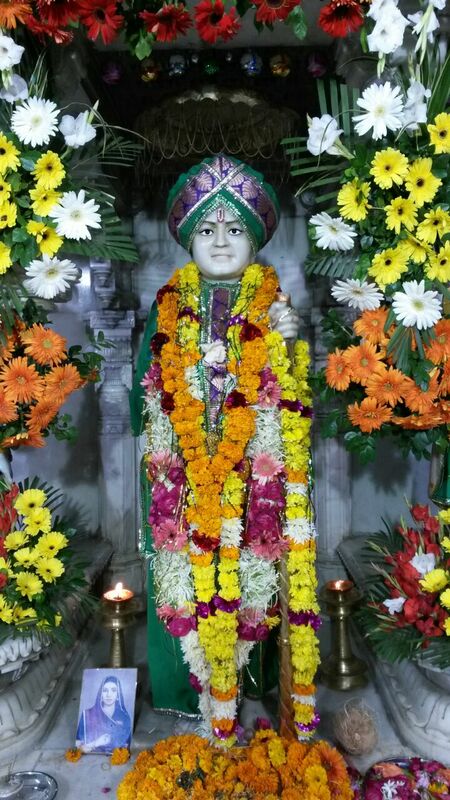 This festival is also known as Kali Chaudas or Roop Chaudas. In some Indian regions and cultures, it is believed that it was Goddess Kali who killed the Rakshasa Narakasura. Thus it is celebrated as Kali Chaudas. 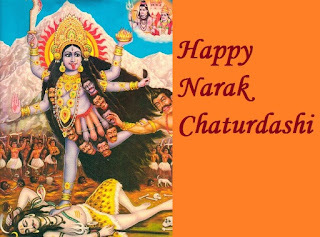 Once there was a demon named Narakasur who was the son of Bhumi Mata (Mother Earth). Due to his several superhuman powers, he grew arrogant and troubled all the three worlds. The helpless gods sought the help of Lord Krishna. Sri Krishna ascended the divine vehicle Garuda along with his wife Satyabhama and reached the fort of Narakasur. He destroyed the demon Mura who was guarding the fort. Later Satyabhama killed Narakasur since he had the boon that he could only be killed by a woman. The day of Kali Chaudas marks the victory of good over evil. On this day it is believed that Ma Durga takes the form of Kalratri and vanquishes all the demons and evil forces. Now put a combination of roli and rice in all diyas and then perform Ganesh Laxmi Panchopchar Puja. 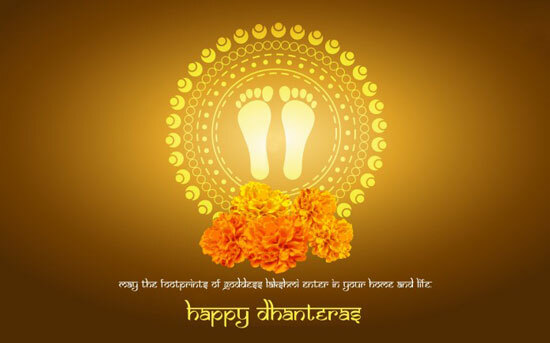 All of Wish you a diwali and Dhanteras 2018 your family and friends.Dhanteras is also a major festival in India and auspicious occasion for Hindus.Dhanteras is celebrated on the 13th lunar day of Krishna Paksha (the dark fortnight) in the Hindu calendar month of Ashwin and it marks the first of the five days of Diwali celebrations.Dhanteras day is related to Godess Lakshami and according to Hindu believing Goddess Lakshami is the Goddess of wealth and prosperity. On Dhanteras Hindus worship Dhanvantari, who is considered to be the teacher of all physicians.Dhanteras has become associated with wealth and people buy gold or silver on the day.However Dhanvantari traditionally has no association with wealth.In modern times people use the day as an opportunity to buy silver and gold jewellery and homeware and the day also sees a lot of technology and car purchases. To mark the auspicious day, houses and business premises are renovated and decorated. Entrances are made colorful with lovely traditional motifs of Rangoli designs to welcome the Goddess of Wealth and Prosperity. To indicate her long-awaited arrival, small footprints are drawn with rice flour and vermilion powder all over the houses. Lamps are kept burning all through the nights. how much U receive Depends on how much Ur Heart can believe. 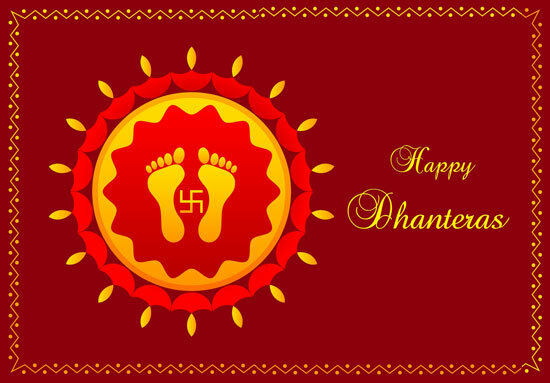 May U be blessed beyond wait U expect..
Wishing all of Happy Dhanters you and your Family. Diwali is the Hindu festival of lights. 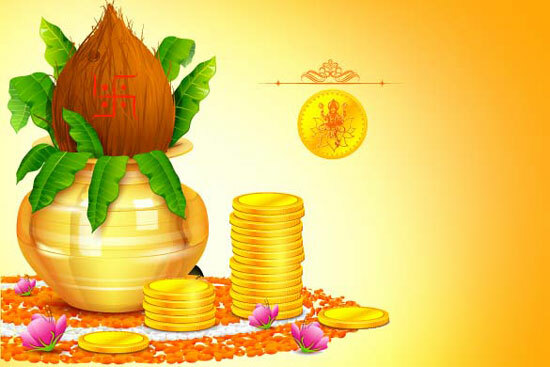 It is celebrated in late Ashwin month and ends in early Kartik.According to English Gregorian calendar Diwali is celebrated October-November month every year.This Diwali day falls on the amavasya or the no moon day. Diwali date comes 20 days after the popular festival of Dussehra or Vijaya Dashmi.The Diwali festival actually runs for five days, with the main celebrations happening on the third day in most places in India.Diwali festival starts of Dhanteras and end of Bhai Dooj.Here is information about Diwali festival 2018 Calendar Date and time, Puja Muhurt. 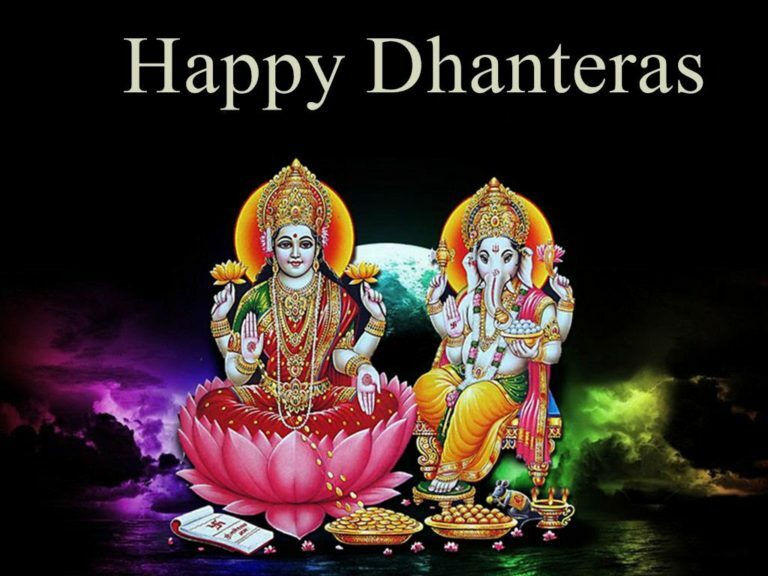 ➤ The first day is known as Dhanteras, Laxmi Pooja,Trayodashi,Dhantrayodashi, Dhanteras, Dhanvantari Trayodashi, Yama Deepam. 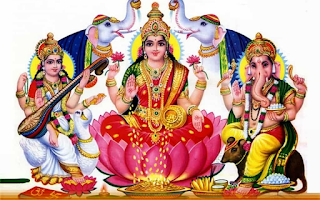 ➤ The third day is the new moon day known as Amavasya, Diwali,Sarashwati Puja,Lakshmi Puja, Diwali Puja,Kedar Gauri Vrat,Chopda Puja, Sharda Puja and Bengal Kali Puja . 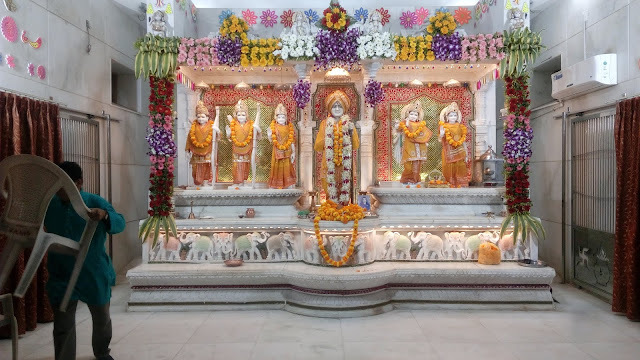 ➤The fourth day known as Gujarati New Year Day,Bestu Varsh,Govardhan Puja,Annakutosav,and many more. 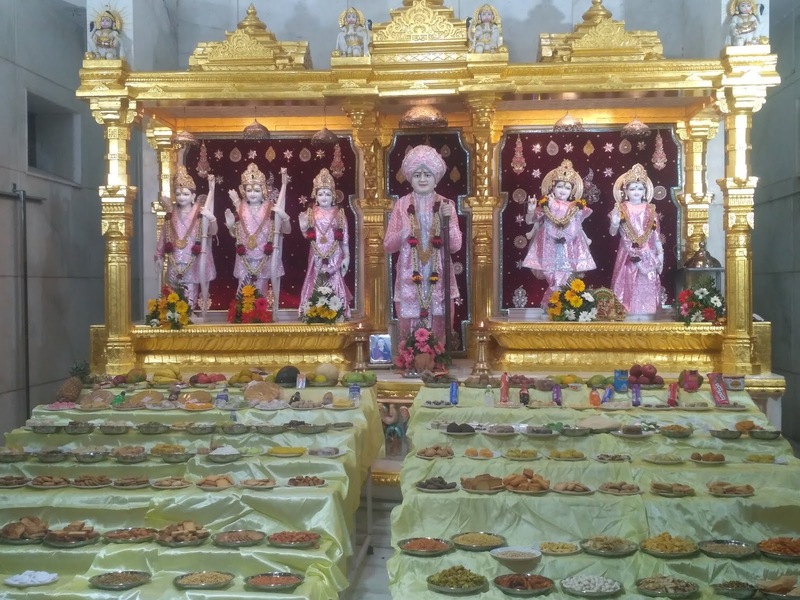 ➤ The fifth day is known as Bhai Duj,Bhaiya Dooj, Bhau Beej and Yama Dwitiya . 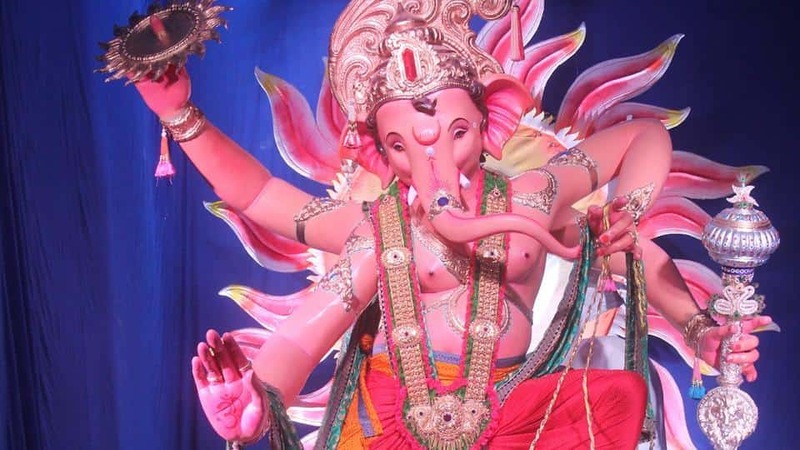 Ganesh Gulli idol was unveiled for a photoshoot ahead of the Ganapati Festival at Lalbaug Sarvajanik Utsav Mandal Mumbaicha Raja, Ganesh Galli, on Tuesday. It is the tallest Ganapati idol in Mumbai. Although it is unknown when (or how) Ganesha Chaturthi was first observed, the festival has been publicly celebrated in Pune since the era of Shivaj. This year the Ganesh Galli Cha Raja Idol enters its 91st year. 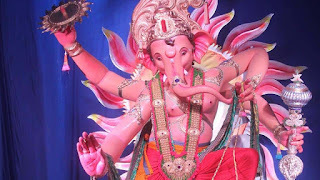 The Ganesh Galli Cha Raja is visited by thousands and lakhs of devotees every day during the Ganesh Chaturthi festival. Ganesh Galli cha Raja also called as 'Mumbaicha Raja' is one of the oldest and one of the most renowned Ganpati pandals in Mumbai. Founded in 1928, the Ganesh Galli pandal will be celebrating its 91st Ganpati festival this year. Interestingly, it is just a few lanes away from the most popular pandal in Mumbai, Lalbaug Cha Raja. 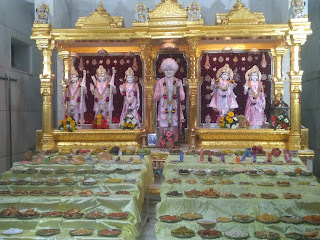 The Ganesh Galli pandal is well known for its unique themes which are often a replica of popular temples of India. 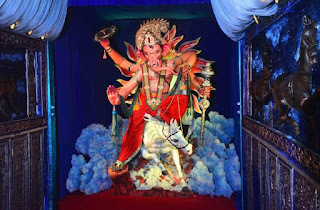 Mumbaicha Raja is also one of the oldest Ganpati pandals in Lalbaug. How to reach: Nearest station is Chinchpokli and Curry Road stations. If you are on the Western Railway route then Lower Parel station is your best bet. The pandal is also accessible via BEST buses, taxis and private vehicles.